How to buy the wedding dress: Keep 9 things in mind! No doubt, choosing your wedding dress is one of the most important and stressful parts of your wedding. However with the right help from all you girlfriends, this process can be extremely fun and enjoyable. We have to share with you a collection of the best wedding dresses of 2017 which will make you feel like a princess on your wedding day. Mistake are always going to happen when you go to pick something so important, so here are 9 mistakes that brides will inevitably make when they go to buy their dress. We all need opinions when picking out our normal dailyoutfits, so no doubt you will the best expertise advice when picking out your wedding dress. Some brides-to-be prefer to take their mothers and sisters, or some like to go with their girlfriends. However I strongly believe that you shouldn´t mix both groups together. The more opinions that you get the more confused you will become and then you´ll start doubting your own judgement. In my opinion you should go with a very minimum amount of people and always trust your own judgement. You have a lot to take into consideration such as prices and styles, so definitely do not rush, take your time and make the right choice. The dress has to show your personality so make sure it is your choice. Once you have your catering sorted you can look at the, Top 10 wedding hotels in Delhi to celebrate your big day. The countdown for the remaining preparations are now in full swing. The only problem with planning ahead is that, if you do fall in love with an outfit months before the actual thing, you could get confused and don´t know whether you if you should wait or not. My advice to you is don´t start looking for things until you are ready to purchase your bridal outfit! It is important to set some details before purchasing your dress as some factors may influence the style of it. We must consider the venue style, date, style of ceremony and celebration, as well as the predominant color of the decor. Of course, do not leave it completely last minute as this could terribly wrong, the perfect timing would be 5-8 months in advance. Don´t let discounts or special offers cloud your judgement, stick to your gut and only pick what you think is best for you. You will know once you have found the perfect dress because it will just feel right and no other dress will compare to it. It can also happen that you find the dress of your dreams at a great price. In any case, the search for the dress can become a consuming and laborious work longer than necessary. Especially, focus on the kind that will look and make you feel good and once you have found one don´t keep searching for one ´just in case´, dont confuse yourself even further, just stop and relax and love the dress you have! Make sure you get expert advice when trying on several wedding dresses. Wedding dresses are different to normal, everyday outfits and you should not try and go by your normal sizes. Always get expert advice and have several dress fittings, which will make you feel more confident about your dress choice. It is a disastrous mistake when some brides are influenced by someone else because they are in a rush themselves to purchase a dress, and they simply can´t be bothered to keep on looking. A wedding dress should be something which should be your choice and something that you are excited to wear. The decision should be made from the heart and you should listen to annyone else. Do not be pressured by anyone and ultimately just listen to your own heart. Your intuition is key and it will never fail you. Dreaming is fine but make sure that you keep within your budget. The worst thing you could do is fall in love with a gorgeous dress, to only later realise that it is way out of your budget, because then no other dress will compare to it and you will never be truly happy. Therefore my opinion to you is that always question the price, and if need be, start saving for you dream wedding dress. It is true that the dress has a starting price marked but there may be extra costs of new embroidery, changes in clothing and alteration of tissue, etc … It is important to be aware that these extras can increase the price of the dress and this is inevitable because all these extras, even though they are small cost a lot. Not to mention shoes, veil, hair ornaments, jewellery and other accesseries that will complete your perfect bridal look. When you start looking at wedding dresses, many brides are influenced by current trends and a number of catalogues or blogs. The internet is an important place to start looking for your perfect style of dress and not be swayed by dresses that you have seen in bridal fashion shows or magazines. It is true that fashion is interpreted in fashion shows and modelled by famous models and designers however, it is the public who decides. If something does not put anyone in the end is not carried. Attend workshops and ateliers that give you more confidence and whose attention comes to be of use. If you go to a shop where you do not feel comfortable, you do not even make sense to look your dress there. Also, ask how many trials there are, if they are authorized distributors selling brands and if they send the dress or you can pick up the day before the wedding. How to pose for your wedding photographs: Ready to pose! How to choose the catering for your wedding? Be attentive to these 10 tips! How to organize best happy wedding! How To Choose the Best Mandap Decorations! How to Choose Hairstyles According to the Functions! Easy Drape Sarees For The New Age Brides-Trendalert! We reached out to the expert designer, Shalini, from Kaaisha by Shalini, to woo our brides with the magnificent easy drape sarees. Have a look at some of the opulent ensembles that are perfect for every Indian wedding ceremony. 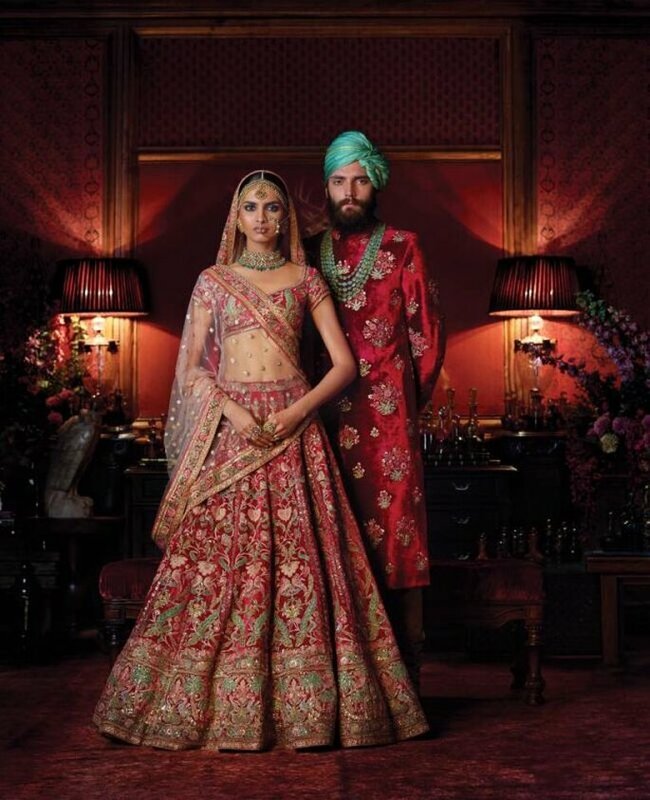 25+ Times Sabyasachi Revealed How To Color Contrast Your Lehenga Like A True New-Age Bride! We have created a glorious gallery full of Sabyasachi brides wearing unusual colors for their wedding ceremonies. Have a look, you won't be disappointed! Gorgeous Mehendi Outfits For The Minimal Brides-Ayesha From The Peach Project Tells Us! To keep the brides up to date on the minimal Indian wedding fashion trend, we reached out to Ayesha from the 'The Peach Project', to give you the latest and the most unique Mehendi ensemble inspiration. 10 Best Contemporary Patterns For The Bridal Blouse That We Spotted On Real Brides! We have gone a step ahead to find the best unconventional bridal blouses so you end up wearing only the perfect splendid ensemble that you desire. 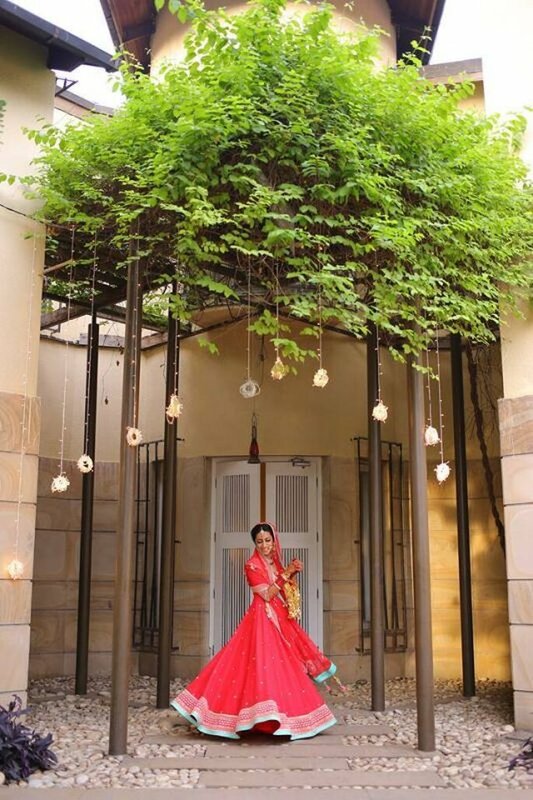 10 Prettiest Unconventional Wedding Lehenga For This Season! 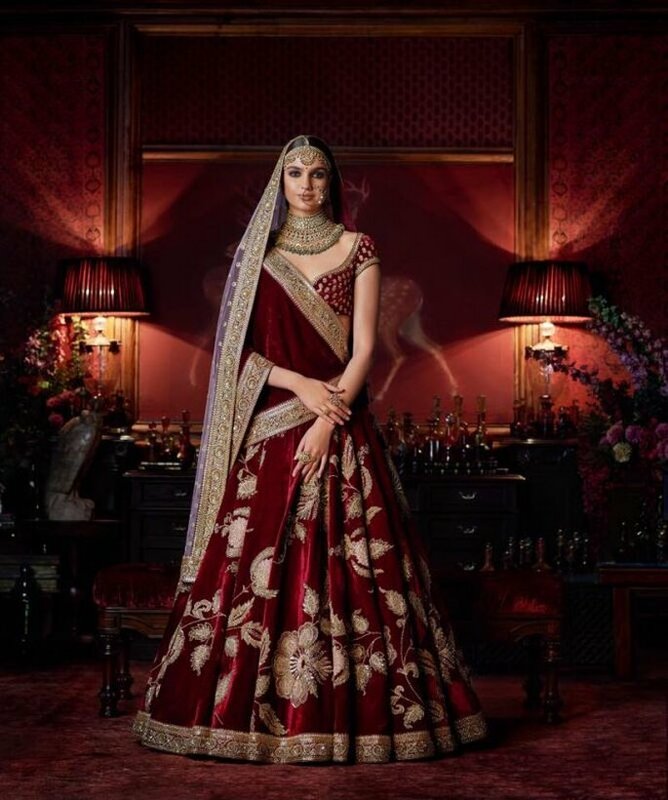 In the past few years, we have seen brides twirling in uncustomary black lehenga, embellishing their lehenga with bold and unusual patterns etc, and we have loved it all. We've compiled the list of ultimate wedding lehengas that exude both grandeur and eccentricity. These are the most breathtaking ivory lehenga that these real brides wore. Check out for some major bridal inspiration. 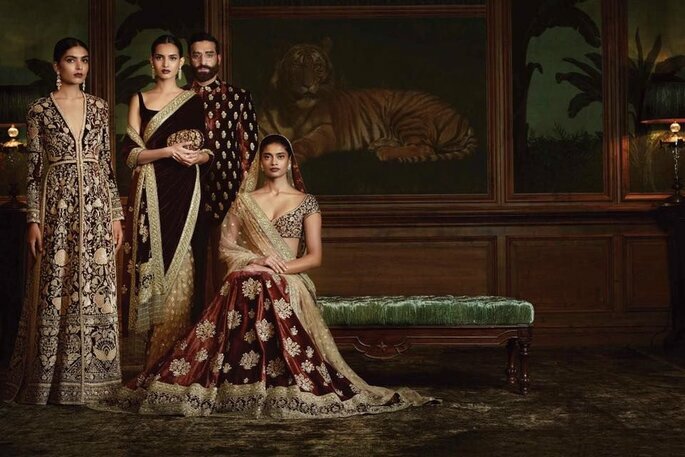 Anita Dongre's Ranthambore'18 Collection Is For The Dynamic Indian Bride! The queen of Gota Patti, Anita Dongre, unveiled her new collection online in July 2018 and then went ahead with the Vogue Wedding show to enchant the discerning visitors. Falguni Shane Peacock's Amour De Junaagarh Collection Is Every Bride's Dream! Falguni Shane Peacock's collection stands for the modern bride, in its truest sense. 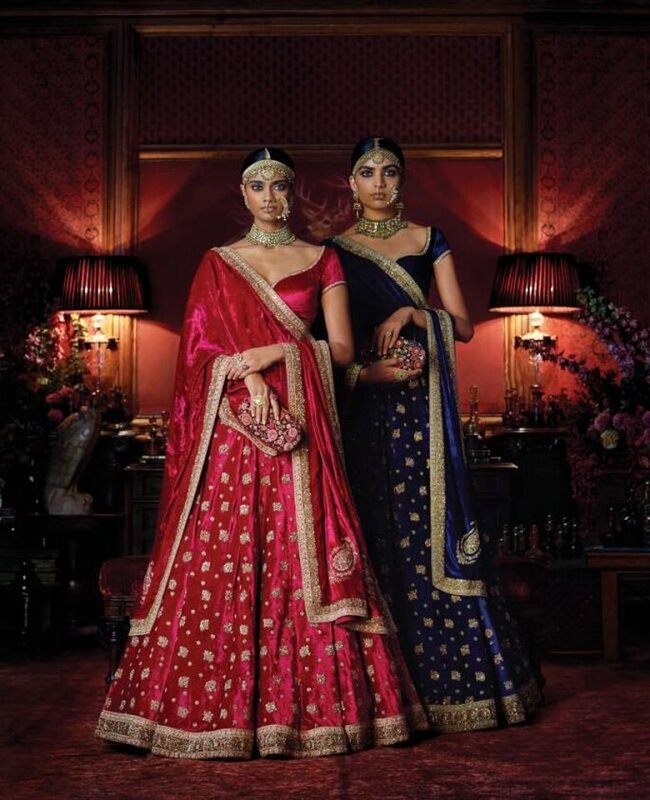 "As the modern Indian bride commences the new journey of her life with a whole new perspective, the narrative behind our line identifies with the ideology of embarking on new adventure with confidence and certainty," says the duo.